Wilton Extra Large Comfort Grip Heart Cookie Cutter $4.84 + FREE Prime Shipping! You are here: Home / Great Deals / Amazon Deals / Wilton Extra Large Comfort Grip Heart Cookie Cutter $4.84 + FREE Prime Shipping! Here’s another cute deal for Valentine’s Day! 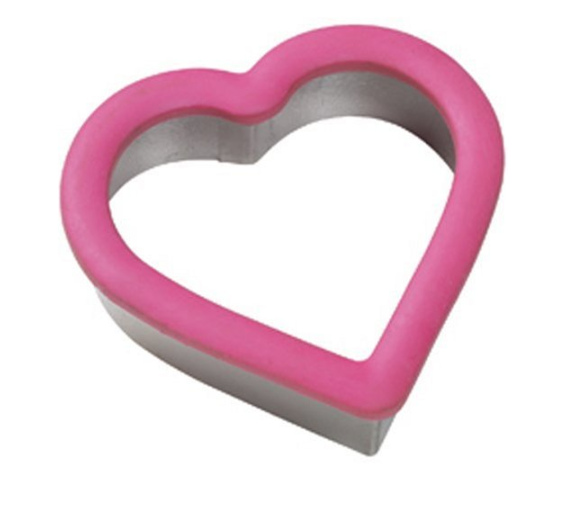 Grab this Wilton Extra Large Comfort Grip Heart Cookie Cutter for only $4.84 right now! Wilton is my favorite brand when it comes to baking so you can’t go wrong with this HOT deal! Plus, FREE 2-Day Shipping is available with Amazon Prime or FREE with orders of $35 or more (sign up for a FREE 1 month trial here)! And, be sure to check out these cute Heart Shape Sandwich and Cookie Cutters for only $1.94 + FREE shipping!